Feeling overwhelmed with your holiday recipes scattered everywhere? 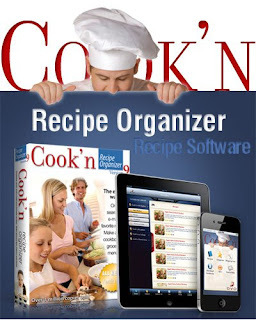 Checkout this awesome recipe software! Use this software to store, save and organize your favorite family recipes! Need help calculating Grandma's recipe for the large crowd at your next holiday? NOT a problem. This software can do that too! Our family uses this tool to plan our meals and organize shopping lists for the week. We love how user friendly it is and that we have time scheduled to get organized and cook'n! Purchase for your personal use or buy it for a friend, family member or other loved one! Great for the cook who "has it all!"